Posted on March 30, 2018 at 4:58 am. If you’ve never visited Summerlin, then you’re in for a treat. About 10 miles away from the Strip in the Las Vegas Valley, Summerlin is located near the Spring Mountains and Red Rock Canyon. While it’s literally minutes away from all the action in Vegas, it feels like a getaway. While Summerlin includes a number of residential dwellings, it also boasts an impressive amount of culture, including incredible dining options. Here, we’ll discuss two of Clique Hospitality’s Summerlin restaurants that can’t be missed: Hearthstone Kitchen and Cellar and Libre Mexican Cantina. The land that is now Summerlin was originally purchased by Howard Robard Hughes in the early 50’s, and was dubbed “Husite”. Following his death in the 1970s, his heirs thought the land had the potential to become a planned community. The name of the land was changed to “Summerlin” in honor of Hughes’ grandmother, Jean Summerlin. Summerlin has over 150 parks, over 150 miles of completed trails, and nine golf courses. It’s a great place to get outdoors! Though Summerlin has a hot desert climate, its high elevation (ranging from 3,000 to 3,500 feet above sea level) keeps it slightly cooler than downtown Las Vegas. It’s sunny over 300 days a year in Summerlin! Some notable Summerlin residents include Nicolas Cage, David Copperfield, and Andre Agassi. Summerlin was chosen as one of the “Best Places to Live in America” in 2014, by Money magazine. While Summerlin has a more relaxed vibe than the Las Vegas Strip, there’s no lack of world class restaurants in this upscale community. You’ll find restaurants of all shapes and sizes in Summerlin, from fried chicken and burgers to four star dining. 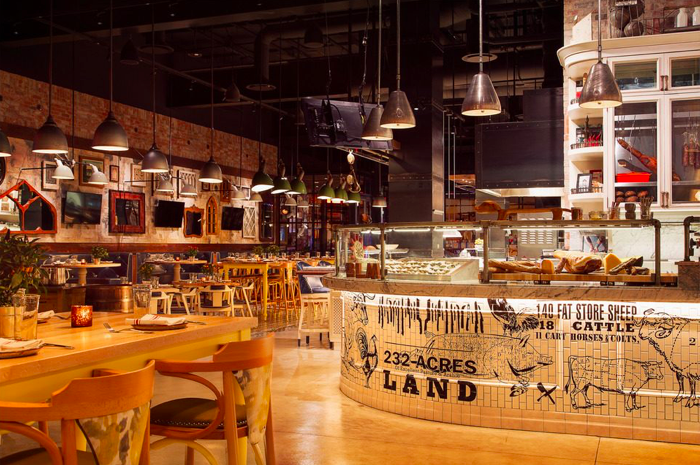 Here, we’ll discuss two can’t be missed Summerlin restaurants brought to you by Clique Hospitality: Hearthstone Kitchen and Cellar and Libre Mexican Cantina. The 411: Created by Chef Brian Massie, Hearthstone Kitchen and Cellar offers a menu of expertly crafted and creative upscale American fare, made from the highest quality ingredients possible. The restaurant has a comfortable, eclectic vibe inside, with two rustic, wood-burning stoves which are used to create the authentic dishes on the menu. Menu highlights: The Hearthstone menu is eclectic, drawing from the many different cuisines that form the culinary melting pot that is the United States. On the appetizers menu, you’ll find items like Deviled Eggs (made with schmaltz mayo, smoked pimenton, and pimento cheese) and Wood Roasted Octopus (served with saba glaze, smoked potatoes, and capers); moving through the menu, you’ll find an inspired list of salads, classic sandwiches, and pizzas, as well as hearty main dishes such as Braised Short Rib (served with butternut squash gnocchi, truffle ricotta, and charred brussels sprouts) and a Pan Seared Lamb Porterhouse (served with white bean ragout, crispy rosemary, and harissa yogurt). The drinks menu is also comprehensive, including an extensive wine list, plenty of beer options, and creative cocktails. Specials: Every day from 5-7pm, Hearthstone features a Happy Hour wherein guests can enjoy select food items and drinks for just $6 each. On Saturdays, there’s a second “Reverse Happy Hour” which takes place from 9-11pm! There’s always something going on at Hearthstone; check out the Events page to stay updated. Insider tip: Don’t forget, Hearthstone offers brunch, too! Discover some of the menu offerings in this post. The 411: Libre Mexican Cantina will whisk you South of the Border right in Summerlin! Libre offers zesty and creative takes on classic Cantina fare. You’ll discover that the menu offerings incorporate everything that you love about Mexican food, but with some unexpected and always well-executed twists. (served with guacamole, lime hot sauce, and soft corn tortillas). You’ll also find creative vegan options, including a unique Coconut Ceviche (made with coconut serrano dressing, and served with crispy plantains). Libre’s full menu includes plenty of tequila options, crave-worthy Margaritas, and of course a full roster of wine, beer, and cocktails. 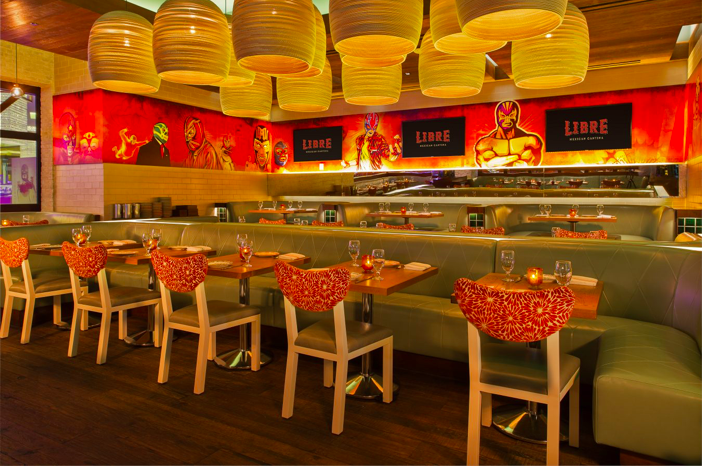 Specials: Libre offers a Happy Hour from 4-6pm daily, including $6 specials on select food and drink options. On Friday and Saturday, you can enjoy the same specials during “Reverse Happy Hour” from 9-11pm. 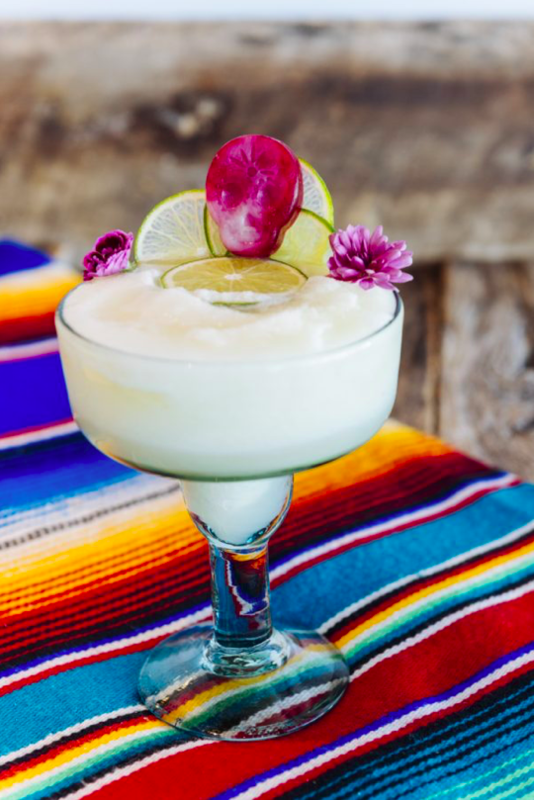 Additionally, there are ongoing events such as Tacos and Tequila on Tuesdays, where you can get all you can eat tacos, tequila, and Margaritas for just $24! Be sure to visit the Events page to keep track of all of the ongoing events and specials. Insider tip: Don’t miss Libre’s epic back patio! Now that you’ve made Summerlin’s acquaintance, come and check out some of the best restaurants in town! 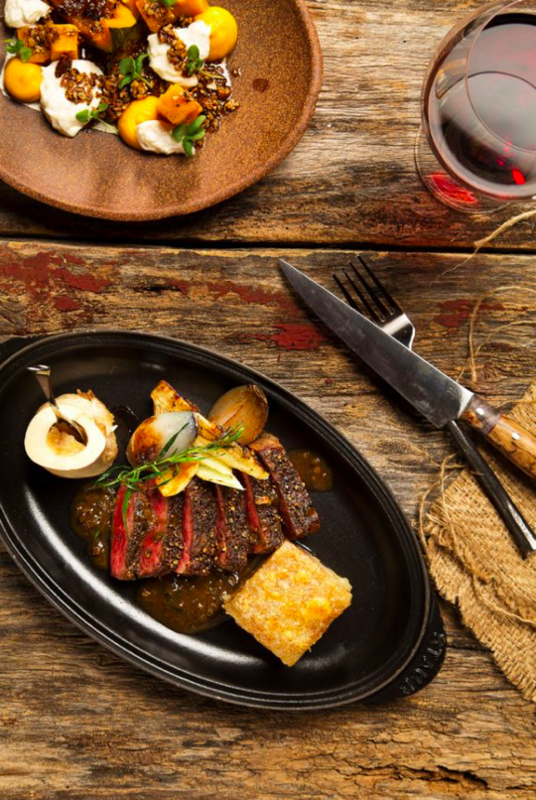 Both Hearthstone Kitchen and Cellar and Libre Mexican Cantina truly are Las Vegas Hospitality at its best. We hope to see you soon! Have you been to either of these Summerlin restaurants?